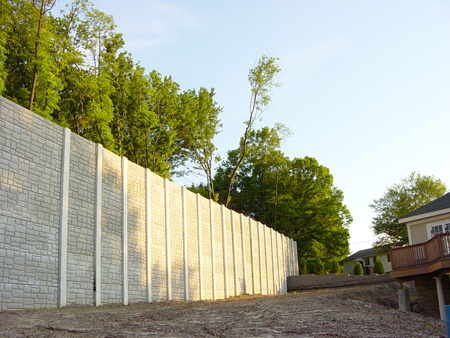 ShoreWall™ is ideal for those times when excavating a hillside is not an option. 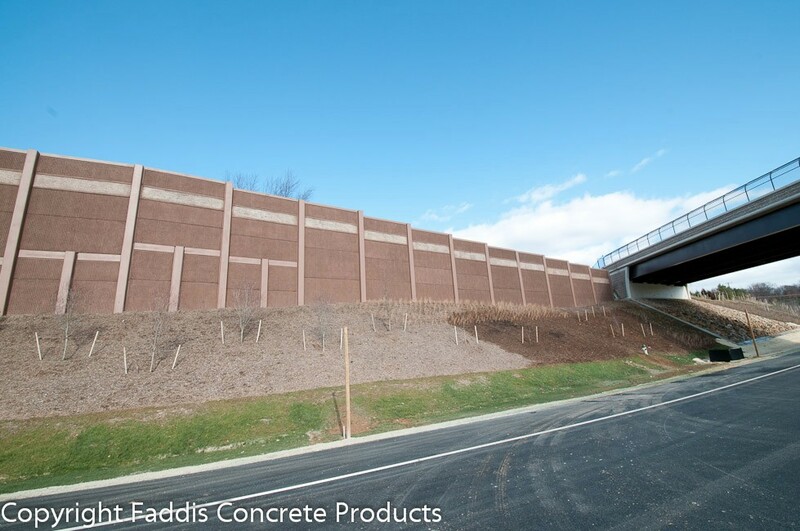 These situations require the creation of a cut slope, which requires a narrow profile vertical retaining wall. 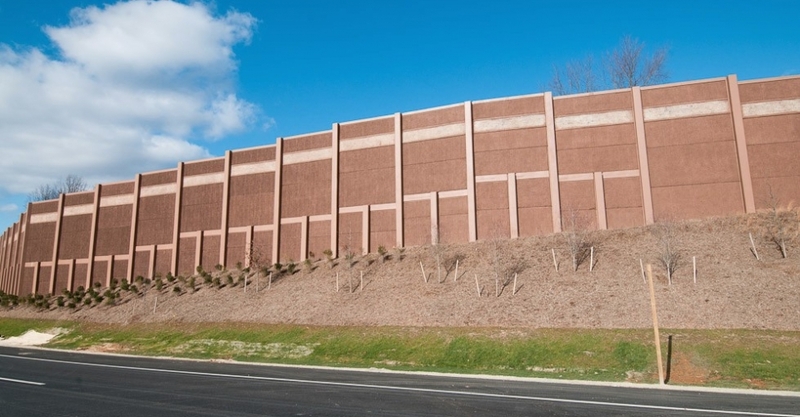 ShoreWall™ is a versatile adaptation of a post and panel noise barrier, strengthened to resist earth loads. 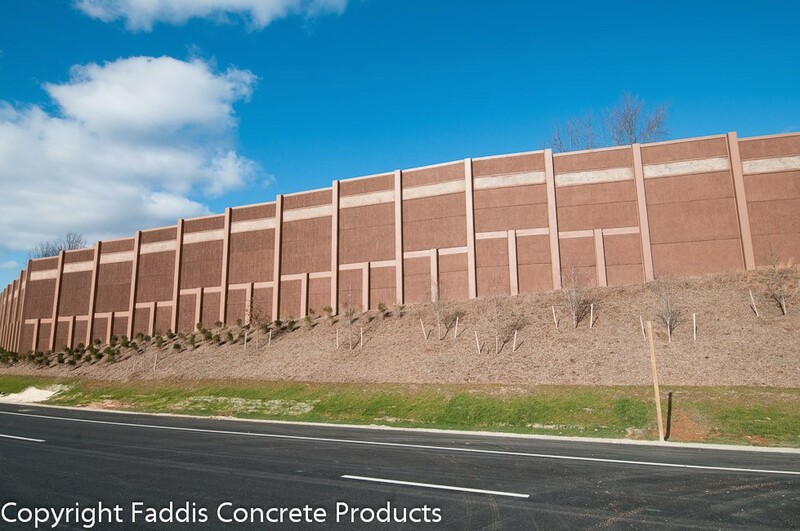 ShoreWall™, based upon the StoneWall system, is available with a sound-absorptive AcoustaCrete® surface. 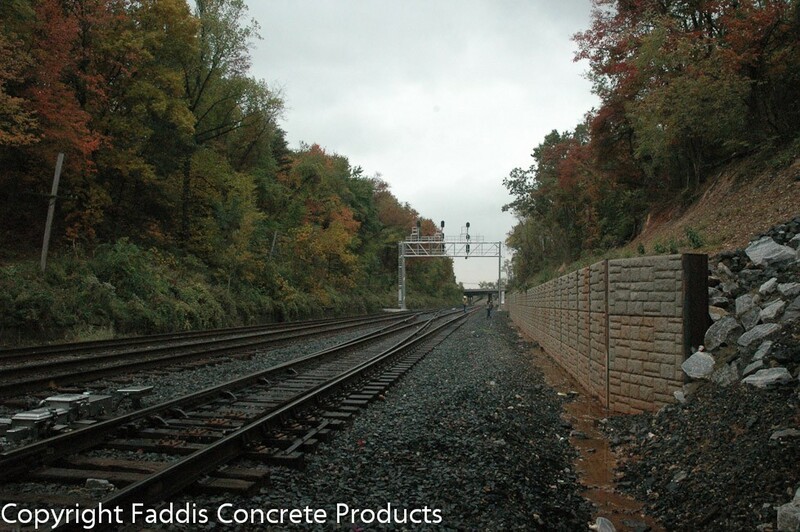 It also includes lagging panels for use in steel post or tie-back applications. 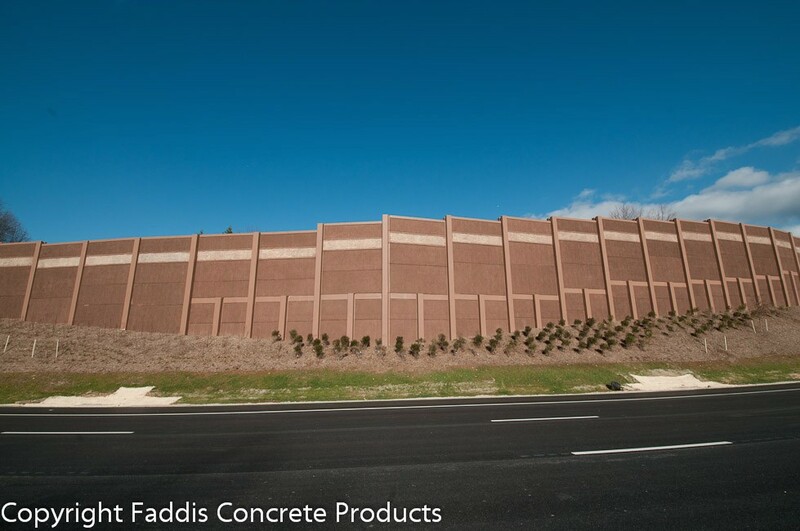 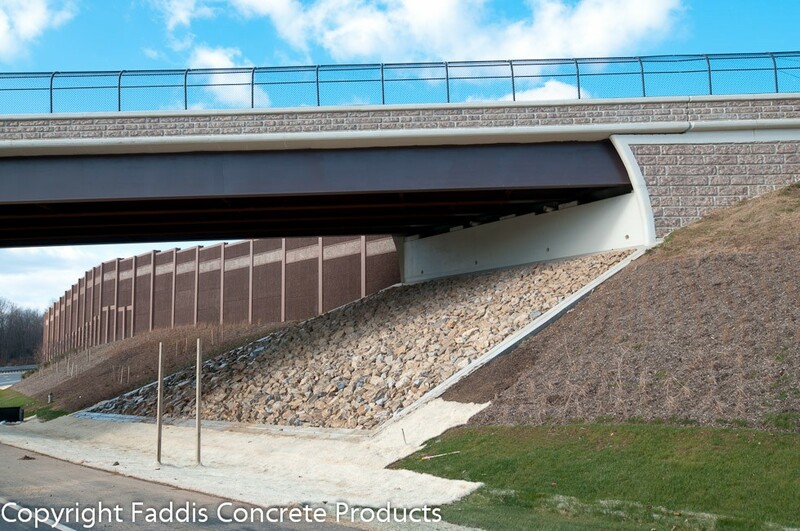 ShoreWall™ offers many architectural and structural options from cantilevered post and panel walls with AcoustaCrete® surfaces to plain panels supported by tie-back steel posts. 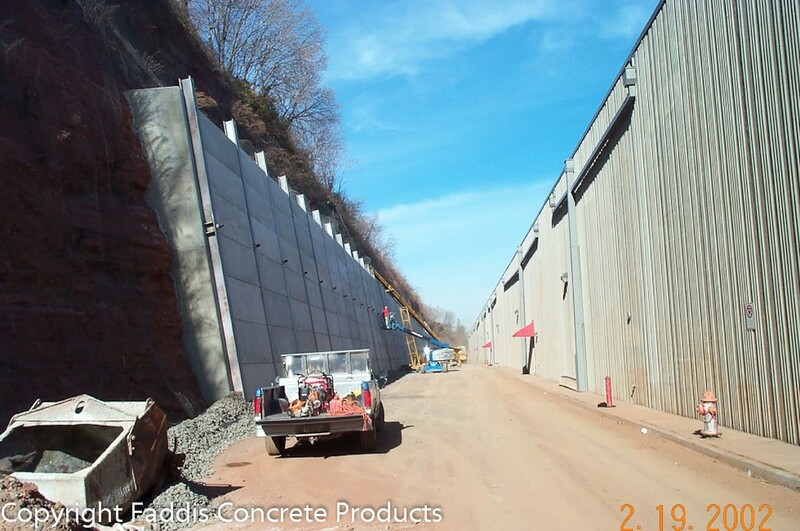 When you are faced with a vertical wall and no way to excavate behind it for tiebacks or earth reinforcement strips, ShoreWall™ can be designed to satisfy most requirements.